Abdominal wall reconstruction can be a common procedure after many different types of abdominal surgery. 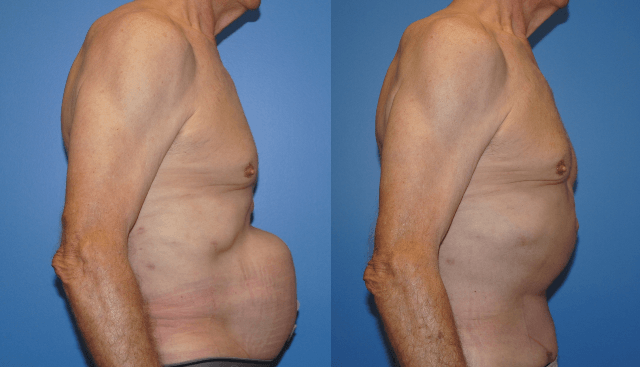 One of the more important components of abdominal wall reconstruction is to recreate a dynamic abdominal wall so that the musculoaponeurotic system of the trunk can serve its purpose. By bringing the rectus muscles back toward the midline of the abdomen, the intraabdominal pressure can equilibrate. That is, when one coughs or strains, the intra-abdominal pressure can be transmitted from the bowel to the abdominal wall and vice versa. Often, large defects of the abdominal wall need to be closed with components separation to appropriately bring the rectus muscles back toward the midline of the abdomen.